The incredible, edible jig. Walleye anglers love jigs because not only are jigs fun to fish but this presentation is also extremely versatile. All season, any season, chances are you can use a jig presentation in some fashion to catch fish. If you were to poll a hundred walleye anglers, there is a good chance that a high percentage would cite that a jig is a favorite way to catch fish. The hands on feeling of holding the rod and feeling the bite, the subsequent hook set… jig fishing is a very intimate presentation. While we can argue that a jig might not be the absolute best presentation every single day, we can argue that a jig is the one presentation that will still catch fish most days from ice out to freeze up and jigs particularly shine in the fall. More than any other factor, the location dictates the presentation. Jigs are precise and exact. Perfect for probing the spot on the spot. Compared to trolling crankbaits with planer boards, which is broad and sweeping to break down a large spot, jigs excel for sitting over the top of fish, but you can also cast and drag jigs to give you more versatility. Whenever conditions or structure forces fish to bunch up versus spread out, jigs can be a top presentation. 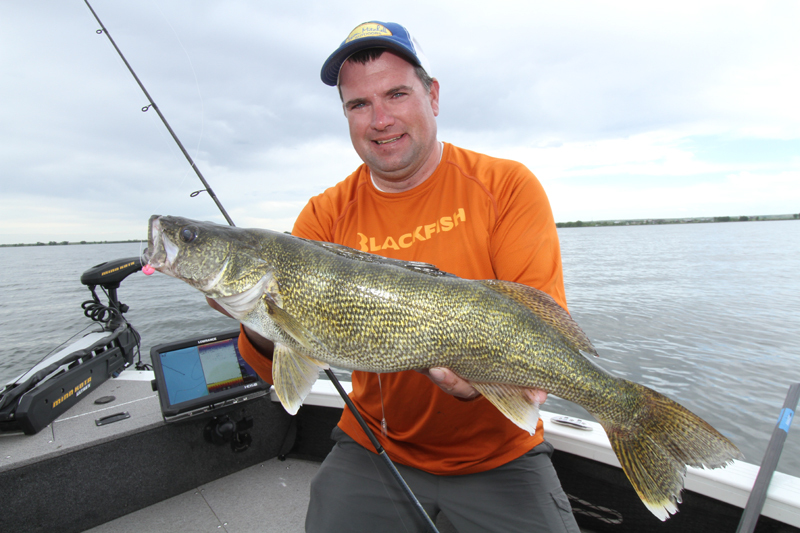 The beauty of using a jig to catch walleye is simply the versatility. If there is a mistake we all make when fishing jigs, that mistake would be simply not wrapping our heads around all the different ways we can use a jig to be successful. Simply getting in a rut where we think there is one way to use a jig and that’s it. Really great walleye anglers are versatile and really great jig anglers are versatile in that they have not only seen enough to know or recall different methods or attitudes when jig fishing but are also versatile enough to implement and adapt. Think of an old black and white television set where you had to turn a knob to turn the channels. The more channels you have, the more likely you are to find something that will work. Don’t be a one or two channel jig angler. Force yourself to become more versatile. There is often a sense of touch required to catch fish on jigs. What always amazed me from my years as a guide was just how one style or certain touch would catch fish some days while other things simply didn’t work. Here is another eye opener… the angler with the most expensive graphite jigging rod didn’t always catch the most fish. To get better at catching fish with jigs, we have to attempt to wrap our heads around all of the variables. I am going to give you some examples I have seen on the water. Let’s take the rod and line along with the weight of the jig. Imagine a very high-quality graphite rod spooled up with eight-pound braid. This set up would be extremely sensitive. I personally love a six and a half to seven medium to medium heavy fast action rod for a lot of jig fishing and I often like to use braid for the extra connection on the hook set and for the sensitivity. There are times however where this combination can be too sensitive. There are times where six or eight-pound monofilament makes the presentation more subtle and there are times where the fish simply feel resistance too soon. Mono gives a jig a different glide through the water. If you are missing fish or not getting bit using braid, switch to mono. I often catch way more fish on tough bites using mono. If you are getting thumped with mono and just not getting a hook into fish where the fish are coming unbuttoned after a few cranks, try switching up to braid. Some anglers try to argue that one type of line is better than the other, but you will be a much better angler if you are comfortable fishing with both. If you encounter bites that are just mushy where the fish are just hanging on, I often increase my batting average by using a lighter rod. A lighter tip is also often necessary if you have to swim or crawl lighter jigs through shallow water where the rod simply loads up when a fish is hanging on. I have encountered weird bites before where anglers using less sensitive rods and mono actually out fished anglers because the fish seemed to hang onto the jig and simply choked up on the jig more as it was pulled away. Understand when you need the sensitivity and also recognize situations where you need the jig to glide through the water or simply drag the fish a short distance before the rod will load up. Snap jigging a jig back to the boat with mono will have a much different action than braid and not so surprisingly, the fish are just there. When you pick up line and snap again, you will feel the fish. While not always necessary, I am a big believer in using a fluorocarbon leader when fishing with braid. Fluorocarbon typically is much more invisible under water. Light colored braids in particular are often highly visible underwater and I do believe there are times when highly visible lines underwater do reduce bites. Consider this… fish have debris floating by them constantly and if you have a three-inch piece of grass on your jig, you probably won’t get bit. Fish get tuned into ignoring debris like leaves, weeds and other debris that is drifting through the water. You can also make braid much less visible underwater by simply taking a permanent Sharpie and coloring your line black on two feet of line next to the jig. What I like about using a fluorocarbon leader is the abrasion resistance for fishing rocks, clam beds or toothy fish encounters like pike. I also like how fluorocarbon will cinch up on the jig eye better, so I can better control where my knot is at. If you are pitching or casting jigs especially, high vis mono or braid can make detecting some bites much easier because you can watch for the line to jump. From my experiences, high vis mono disappears fairly well under water while high vis braid often has a lot of contrast in the water and is highly visible. When vertically jigging, especially when you are snap jigging… tying a small barrel swivel about two feet above your jig will save a lot of twist in your line which can become a big deal especially when using lighter six or eight-pound monofilament. I can’t tell you how many times I simply used too light of a jig and that mentality cost me fish. There are several reasons why using too light of a jig can be a major mistake. Catching fish so often is simply making adjustments and finding fish. If you error on the side of too light, you have to fish much slower and you simply can’t cover as much water. As anglers, we get brain washed into believing we will catch way more fish if we lighten up our jig, but I have seen way too many scenarios where that wasn’t the case. Particularly when fishing below the boat over structure or fishing in current, I have the mentality now to use the heaviest jig I can get away with. With the advent of tungsten now entering the walleye scene, I have fallen in love with the Clam Pro Tackle Drop Tg Series of tungsten jigs as these jigs fish heavy, make louder bottom contact and are much more sensitive than traditional lead. Versatility however is the name of the game. When swimming or dragging jigs, lightening up the jig can pay huge dividends whenever you are fishing at an angle, casting or getting bogged down with debris, weeds or slime. Go up or down in jig weight and don’t be stubborn. Most days, catching fish on jigs is all about feel and so often if there is one variable that greatly changes the presentation, it is simply how much line you have out. If there is another angler in the boat that is cleaning your clock, watch the obvious like rod stroke and speed but also look at the angle in which the line is from the rod tip to the water and match that angle. That is a quick adjustment that usually solves most problems. Particularly in the fall, jig fishing is often straight up and down over deeper structure. Typically, as you crawl around the spot, trust your electronics and remember to fish for fish versus simply fishing the spot. Crawl up, down and around until you mark fish. As you crawl, remember that the jig is typically at an angle away from the boat. If there is a fish right below your transducer and the jig is somewhere else, fight to get vertical. I often find that I simply catch way more fish if I simply reel up and drop back down right on top of fish that are on the screen. This confidence in your electronics will greatly improve your catch rate with a jig. 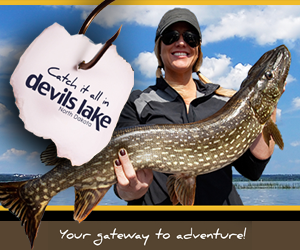 You can not only target fish and put the jig right on them but also target bigger fish. Remember that bigger fish simply make a much thicker mark. Length of the mark is simply determined by how long the fish is in the cone angle, not how long the fish is. The reel up and drop tactic also makes your jig much more visible to fish as they often see it coming down and if it hits the bottom, it is going to make more noise after dropping from further up. This quickly gets your presentation in front of the fish. When you mark a fish you want to catch, either hover while back trolling or use the spot lock on the bow mount trolling motor to stop your momentum and get vertical. Fall fishing typically develops a lot of classic fall patterns where we find fish on deep structure like rock bars, reefs and saddles that often have a hard bottom. Jigs and fall walleye have been a staple for years and not much has changed in that regard. What has changed is GPS mapping, rod blank technology, line and of course additional tools like tungsten and spot locking features. Catching walleye with jigs in the fall is nothing new but many of the new tools can greatly increase your success if you gain confidence with them and know how to use them.